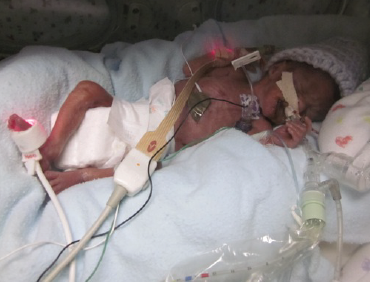 On April 12, 2011, Pierce was born at 23 weeks gestation (over 4 months early) and weighed only 670 grams (1lb 8oz). He endured a grueling 118-day NICU stay, which included surgeries, numerous procedures and infections. Today, Pierce is at home and thriving. Our mission is simple: to offer love and support to other families facing situations similar to ours. On our darkest of days, we were so blessed and encouraged by the generosity of others, including complete strangers. And we were encouraged when we heard stories of other surviving micropreemies. In short, that is why we feel the need to give back. Pierce's Project is a non-profit fund, managed by Novant Healthcare Foundation which serves families of micropreemies and chronically ill infants at all stages of their journey- before, during and after NICU stays. 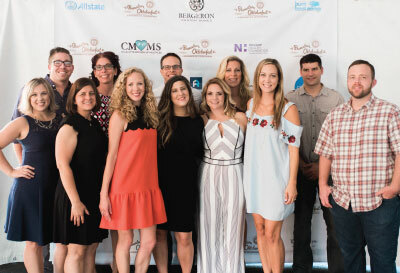 Since our launch in April of 2012, Pierce's Project has grown to consist of a board of 12 members who are all passionate about supporting families of micropreemies in the greater Charlotte area. Our care packages can be found at the two major children's hospitals: Novant's Hemby Children's Hospital and CMC's Levine Children's Hospital. Each year approximately 250-300 micropreemies (babies born under 27 weeks and/or 2 lbs) are born in Charlotte. It is our hope that each and every one of their families will find support in Pierce's Project. No one plans to have a premature baby. However, 1 in 10 babies are born too early. Pierce's Project is made up of parents who have had babies in the NICU units right here in Charlotte, North Carolina. If you find yourself living with a NICU experience, please ask the hospital social workers or your medical care team about getting connected with Pierce's Project during your stay. We provide care packages and monthly support dinners at both Novant Presbyterian Medical Center and Atrium Health Care Center (formerly Carolinas Medical Center). We also offer to cover a portion of your parking expenses at Novant and offer to cover up to eight counseling sessions with a licensed clinical therapist should you feel you need it. Even after you are discharged from the hospital you may experience additional stressors and or have certain experiences due to your baby being born early. We understand exactly what that is like! Pierce's Project continues to offer special events, preemie playdates and ongoing support through our social network and counseling program. You are not alone even after your journey at the hospital comes to an end. The Pierce's Project Advisory Board is made up of parents of preemies and friends of the cause. We meet monthly and work to fulfill the mission of the organization. We also oversee all programs, financials and business workings of the fund. If you are interested in joining the advisory board, please reach out to us through our contact form.